Bulgaria’s policies on children set an example for the countries of the wider Balkan region, head of state President Rossen Plevneliev said at a meeting with UNICEF executive director Anthony Lake, who was on a December 3 2015 visit to Sofia. 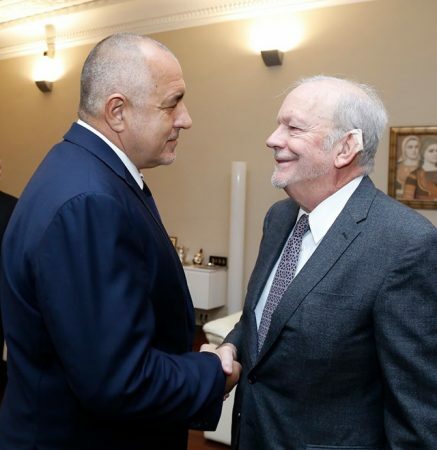 Lake also had talks with Prime Minister Boiko Borissov, with a subsequent government media statement saying that Bulgaria had been praised by UNICEF for the country’s progress in the de-institutionalisation of children. Plevneliev told Lake of Bulgaria’s achievements in child care, emphasising that the country was determined that by 2025, the process of de-institutionalisation of children would be completed, all institution for children closed and replaced with a network of services that match the individual needs of each child. He and Lake exchanged views on the Bulgarian experience and the role of the organisation in the implementation of policies for children, including the development of alternative social services, a media statement by the President’s office said.